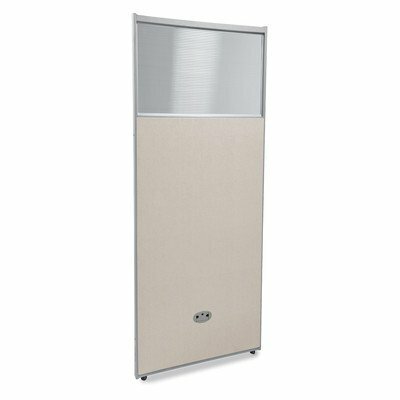 PG4731-BV Color: Beige, Size: 47" x 31" Features: -Floor rize panel. -2" Thick steel frame for sturdiness and stability. -Vinyl cover makes it easy to keep clean. -Sturdy 175" adjustable floor leveling glides. -2" Square posts install in seconds. -Two-way, three-way and four-way panel connections. Number Of Panels: -1. Dimensions: Size 47" x 25" - Overall Width - Side to Side: -25". Size 47" x 31" - Overall Width - Side to Side: -31". Size 47" x 48" - Overall Depth - Front to Back: -2". Size 47" x 61" - Overall Height - Top to Bottom: -47". Size 63" x 37" - Overall Width - Side to Side: -37". Size 63" x 48" - Overall Height - Top to Bottom: -63". Size 63" x 48" - Overall Width - Side to Side: -48".